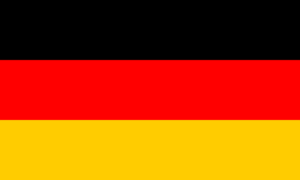 Parkinson’s disease is the most frequent neurodegenerative movement disorder. The disease is characterized by progressive loss of dopaminergic neurons in the substantia nigra and formation of inclusion bodies called Lewy bodies (LBs). The Lewy bodies are composed of misfolded and aggregated alpha Synclein (aSyn). 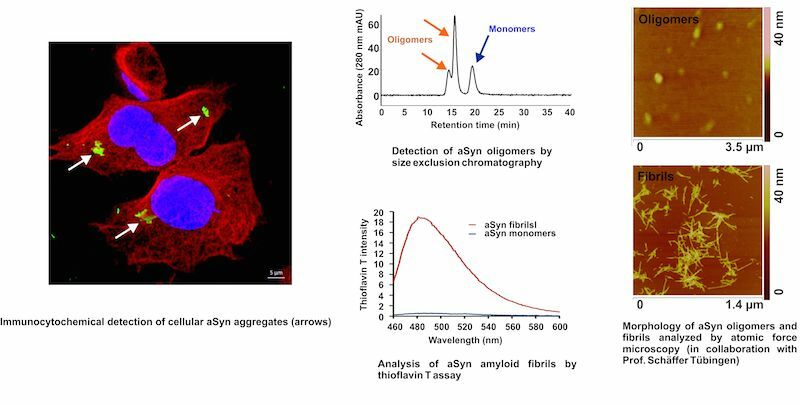 aSyn aggregation is a process of structural and conformational changes, including the conversion of soluble native aSyn to oligomerized aSyn and the assembly of oligomerized aSyn into insoluble amyloid fibrils. Intensive studies have suggested that aSyn aggregation, accompanied by the formation of neurotoxic aSyn species, is crucial in the pathogenesis of Parkinson’s disease (PD). In addition to the pathologic effects of intracellular aSyn, the findings of recent studies support an important role of extracellular aSyn released from neurons in the propagation of aSyn pathology throughout the nervous system. The aims of our project are 1) to understand the mechanisms leading to aSyn aggregation; 2). to characterize neurotoxic, aggregated aSyn species, and 3). to elucidate the mechanisms underlying aSyn-mediated neuronal death. Specifically, we are interested in the impact of oxidative stress on aSyn aggregation. We develop complementary biochemical and biophysical approaches for studying aggregated aSyn species. Recently we could show that specific types of aSyn species exhibited particularly high toxicity to dopaminergic neurons and induced oxidative stress in neurons. Oxidative stress is an important pathological modifier in the pathogenesis of many diseases. Oxidative stress is characterized by elevated levels of reactive oxygen and nitrogen species, which can trigger posttranslational modifications of proteins (PTMs) and lipid peroxidation. We are interested in PTMs induced by reactive oxygen and nitrogen species as well as the reactive products of lipid peroxidation. We characterize the biochemical reactions of PTMs, determine the modified amino acid residues, and investigate the biological consequences of PTMs. Our recent findings support the correlation of oxidative PTMs with the severity of the oxidative damage of cells. Moreover, oxidative PTMs alter the structural and functional characteristics of proteins and trigger detrimental effects on cells. Identification of pathological molecular alterations is important for the development of improved diagnostic and therapeutic approaches of neurological disorders and many other diseases. We characterize posttranslational modifications (PTMs) of proteins using complementary biochemical and biophysical approaches, including mass spectrometry and different chromatographic methods. In addition, we develop mass spectrometry-based methods to determine molecular heterogeneities, such as pathology relevant genetic polymorphisms and mutations as well as alterations of lipids.